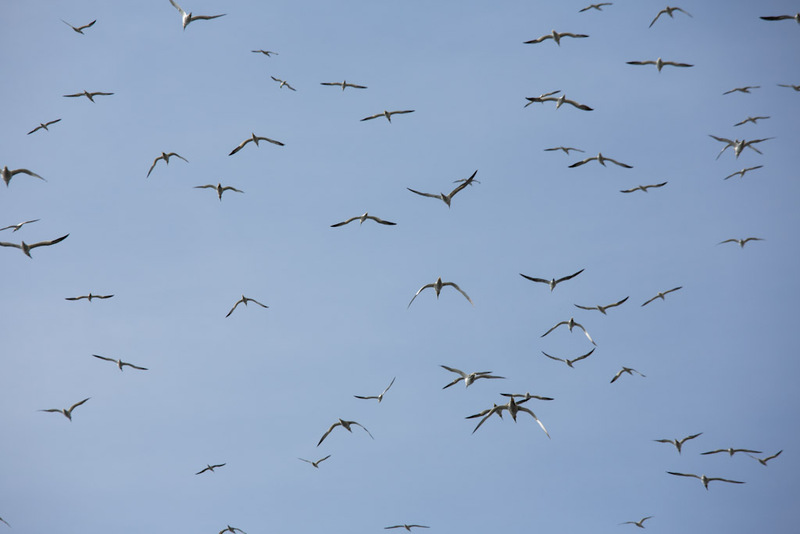 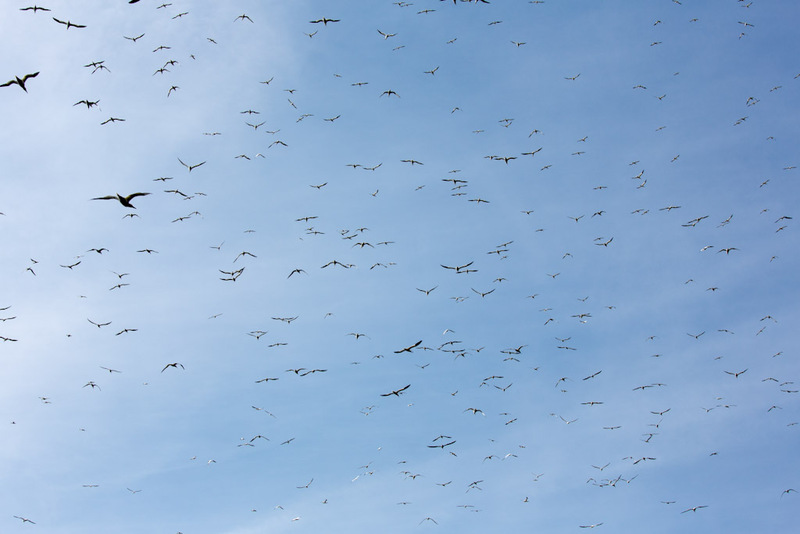 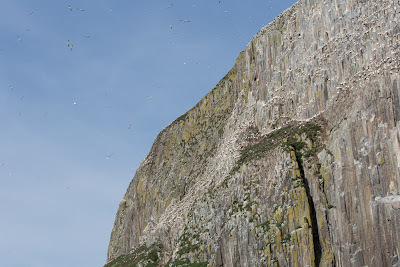 ...literally thousands and thousands of gannets. 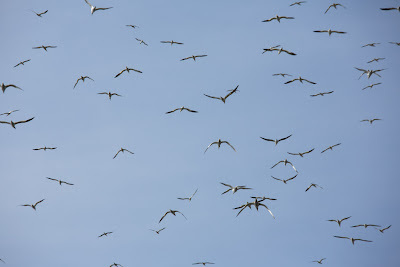 As it was late in the season, many juveniles were joinining their parents in the air. 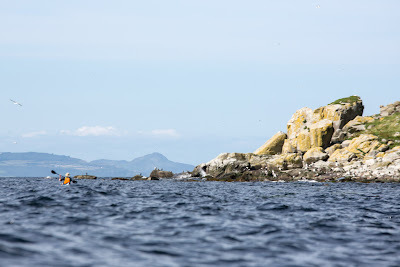 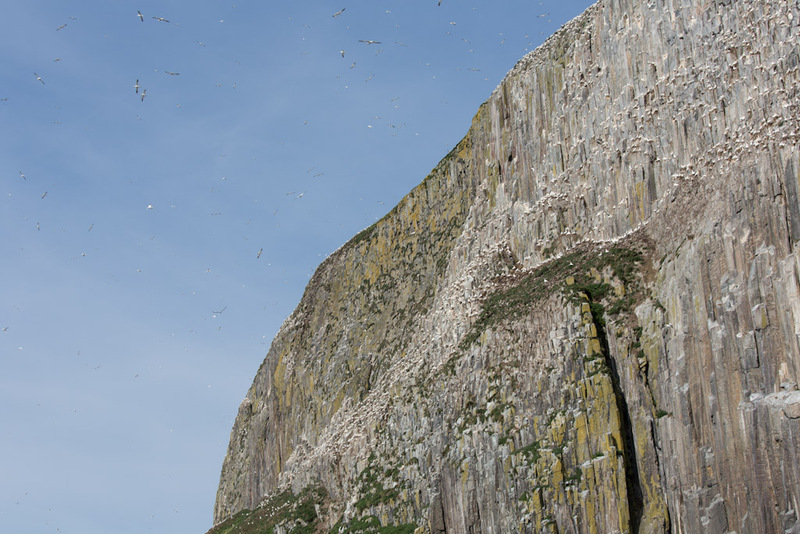 The Ailsa Craig gannet colony is one of the best kept secrets in the west of Scotland. 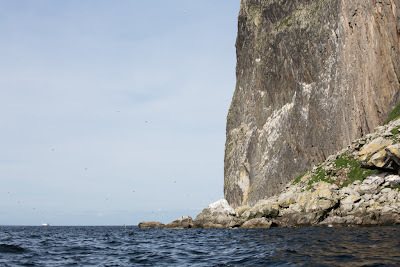 and below the steep rocks of Eagle's Seat. 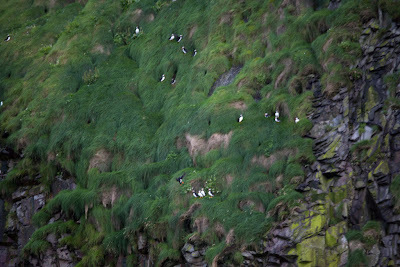 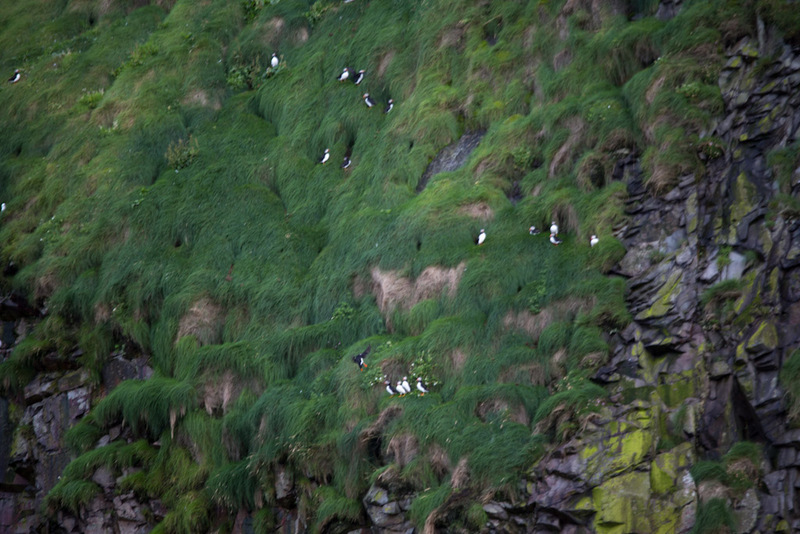 On the grassy slopes, like here near Swine Cave, puffins have re-established a breeding colony following the recent extermination of rats from the island. 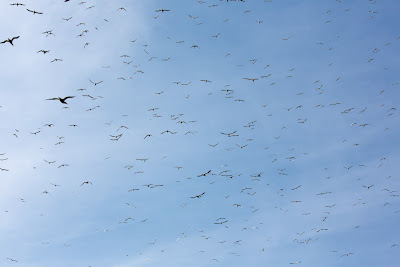 We were cheered to see literally hundreds of the comical little birds. 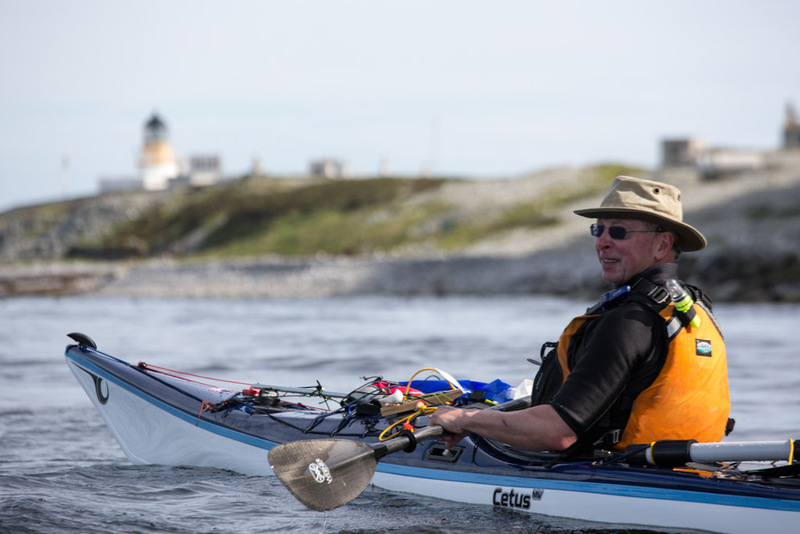 As we completed our circumnavigation, Mike's happy expression said it all.